A new series in which Scotland's acclaimed satirical Gaelic blog takes a look at shining examples of corporate Gaelic at its most outstanding. Plana Gàidhlig Siorrachd Lannraig a Deas! 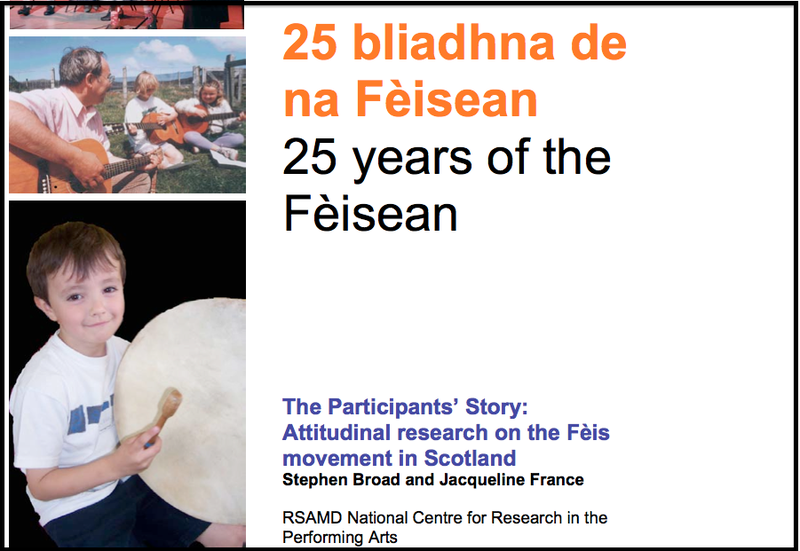 "A success story to be told and celebrated"
An seachdain-sa bha Gilleasbuig air a bheò-ghlacadh leis an aithisg iongantach 25 bliadhna de na Fèisean, agus bu thoil leis mòran taing a channail ri Bòrd na Gàidhlig airson fios a sgaoileadh ann an twitter mun aithisg (ged is ann an 2006 a chaidh a foillseachadh).